The choice of prof. Heliodor Święcicki for the first Rector of the newly founded Wszechnica Piastowska. The ceremonial inauguration of the first academic year. Change of the name of the university to the University of Poznan. Occupants shut down the University. The Poznan University operates as a secret University of Western Lands in Warsaw. Resumption of Poznan University’s activity after the war. Transformation of the Faculty of Medicine and Pharmacy into Medical Academy. Transformation of the School of Physical Education into the Poznan University of Physical Education. Transformation of the Faculty of Agriculture and Forest into the University of Agriculture. 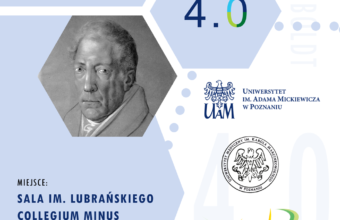 Change of name of the university to the Adam Mickiewicz University, Poznan. We cordially welcome you to the website dedicated to the celebration of the 100th anniversary of the University of Poznań. University of Poznan © 2019.